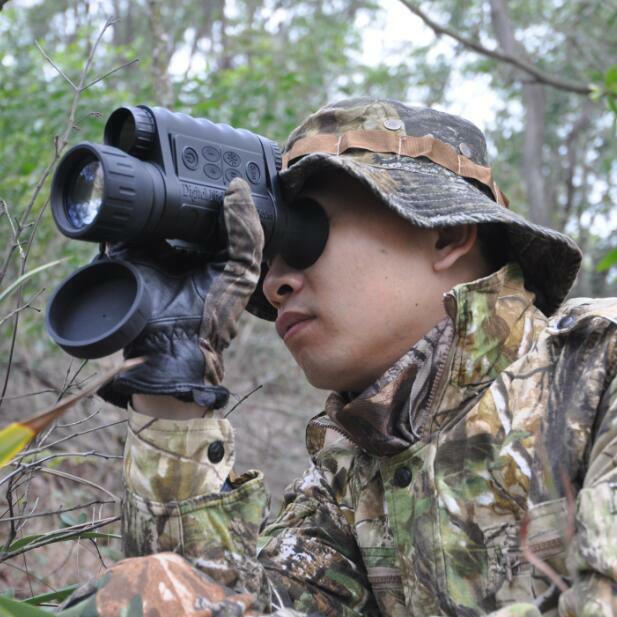 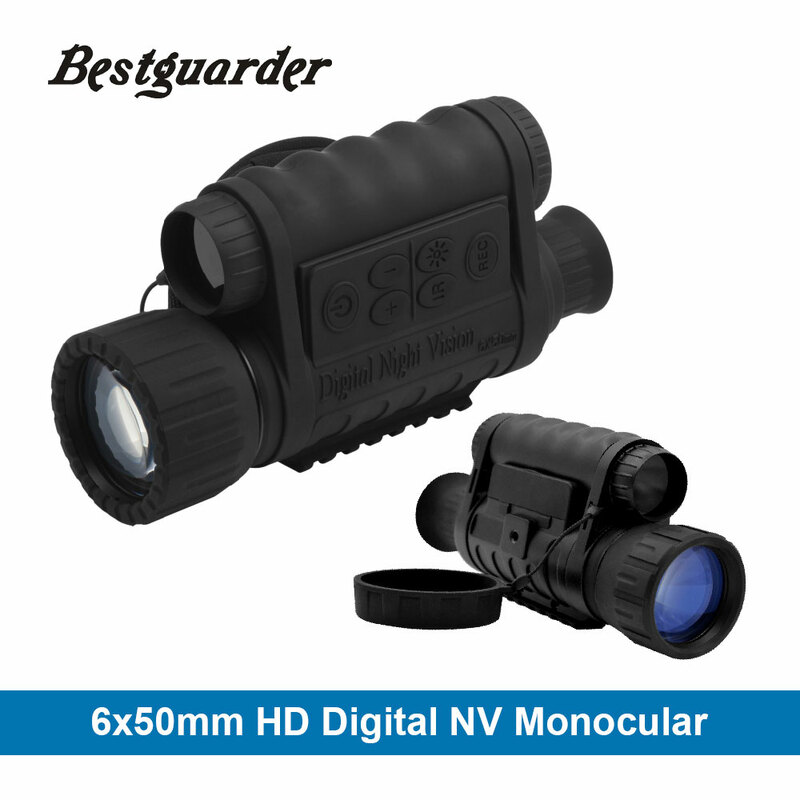 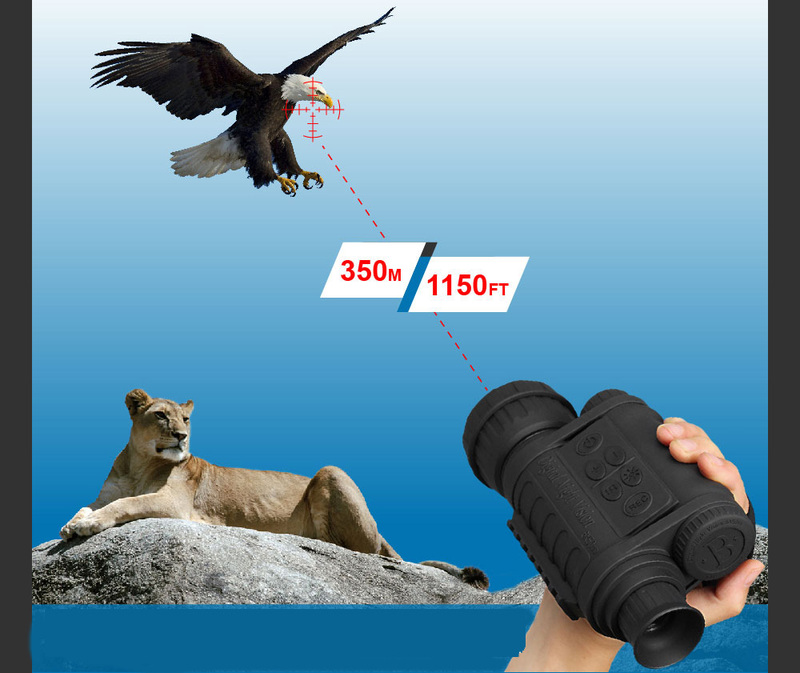 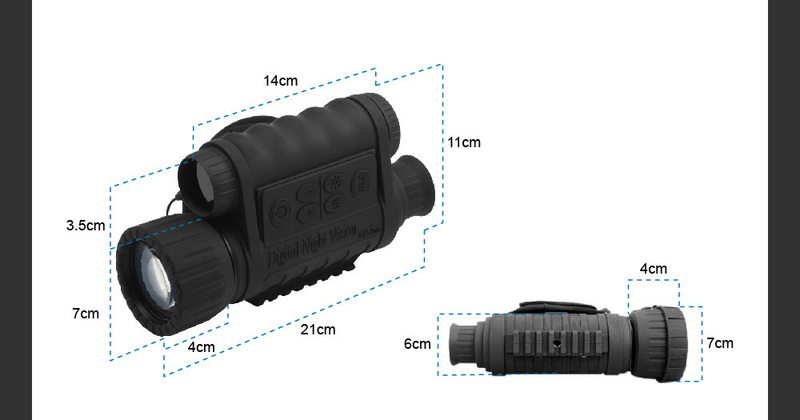 Bestguarder 6 x 50 mm digital night vision monocular is comprised of high-quality electronics and optics. 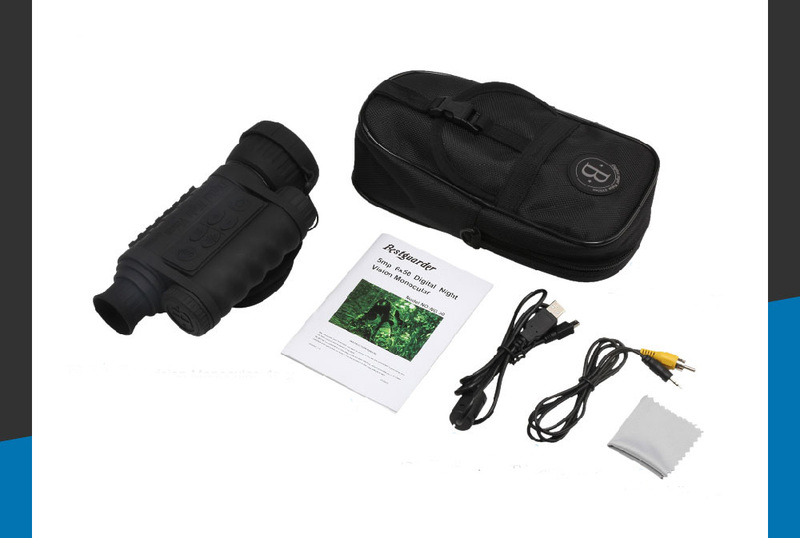 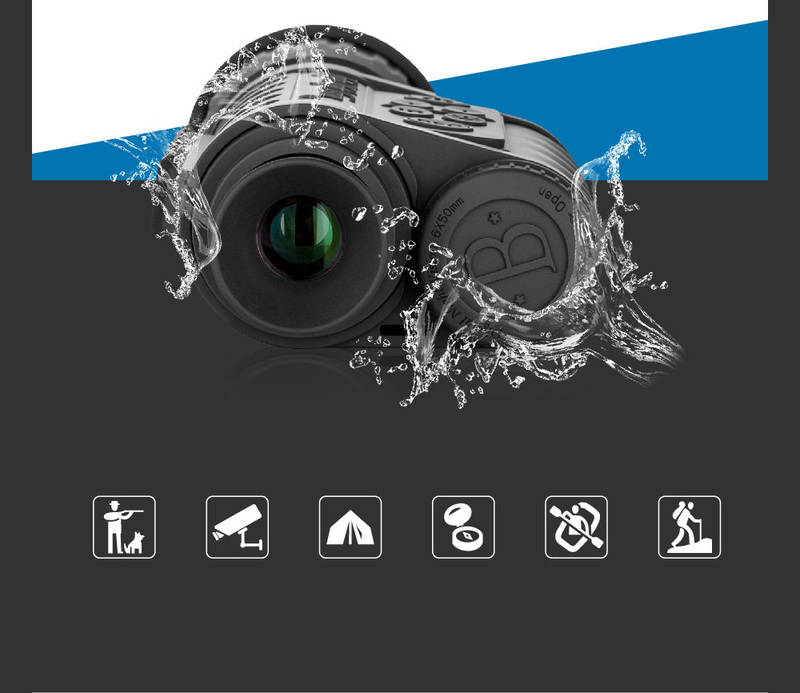 It is a handheld digital night vision viewing system that utilizes an infrared sensitive CMOS sensor, providing edge-to-edge resolution and outstanding image quality, as well as, fully multi-coated optics that increase light transmission and decrease glare. 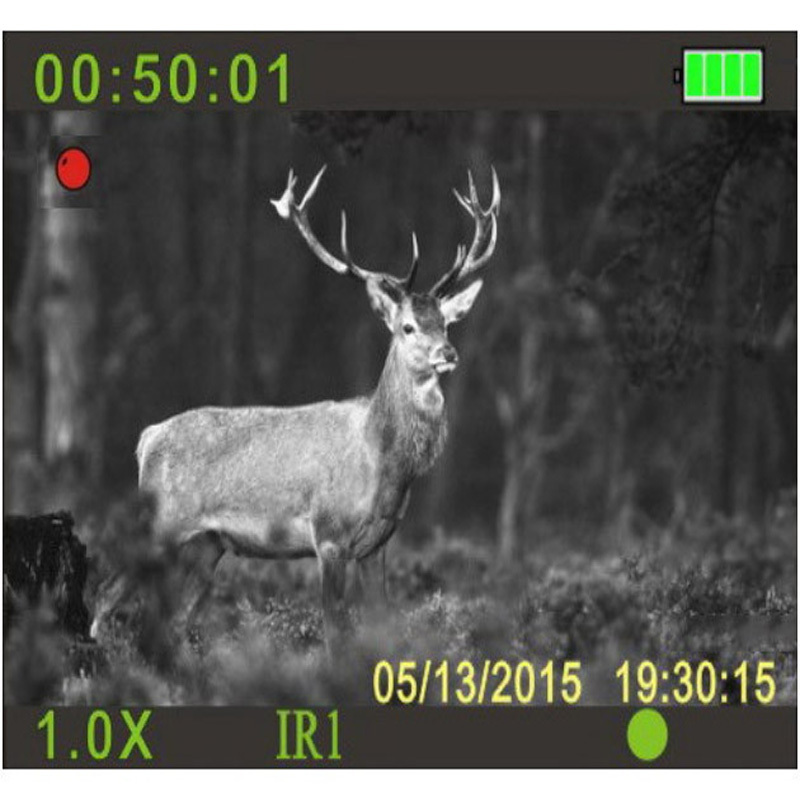 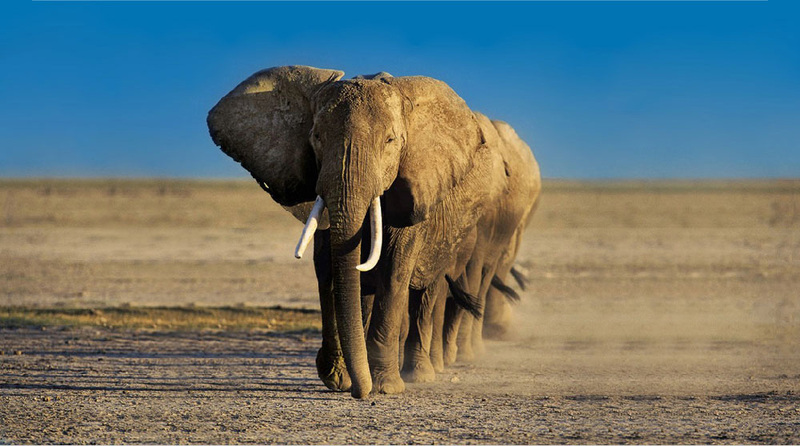 Not only can you view your subject at night, you can also record its image as a still photo or video clip, and store it on a micro SD card. 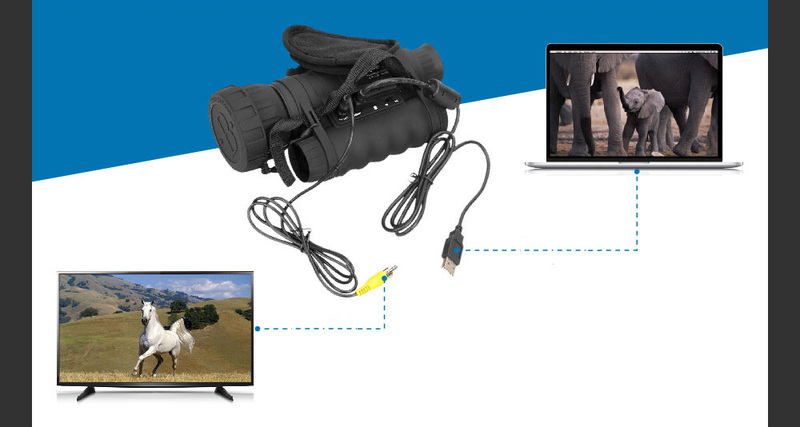 It also includes a video output port (user switchable to NTSC or PAL standard), which allows connection to a video or computer equipment for recording or "live" monitoring. 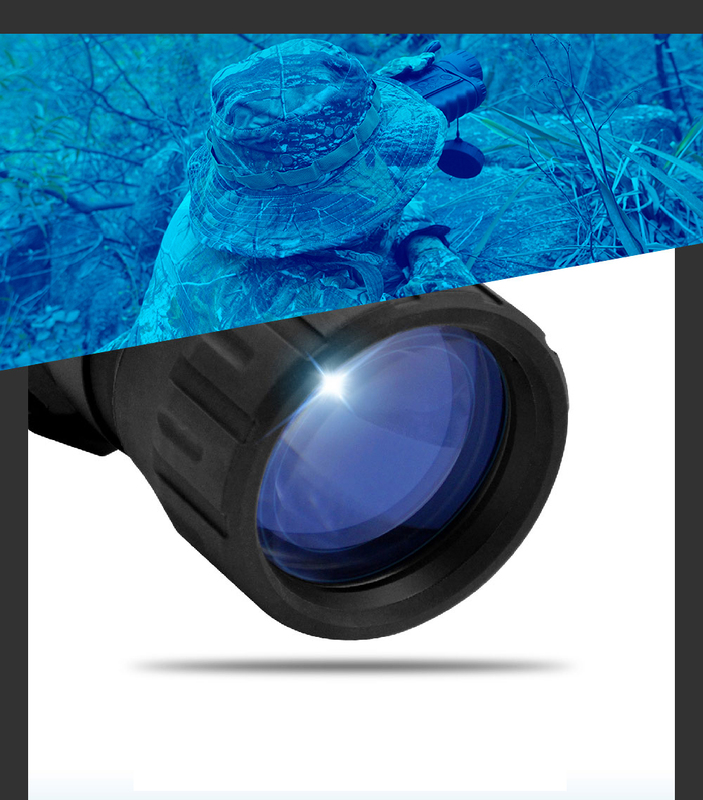 A built-in accessory mounting rail enables the user to attach a more powerful IR illuminator or other compatible accessories. 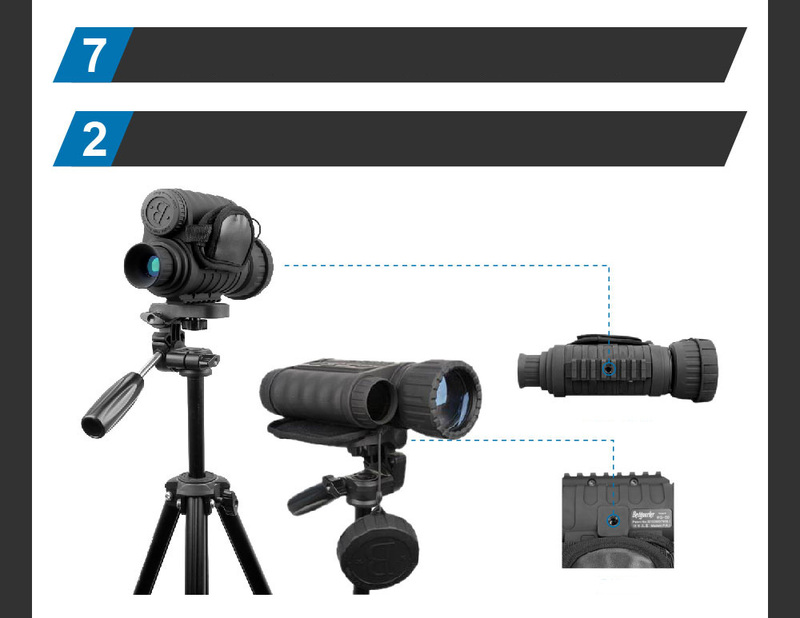 2 Built-in 1/4" tripod sockets.